Did I see the dead or just a projection... OR did I go to the 4th dimension? 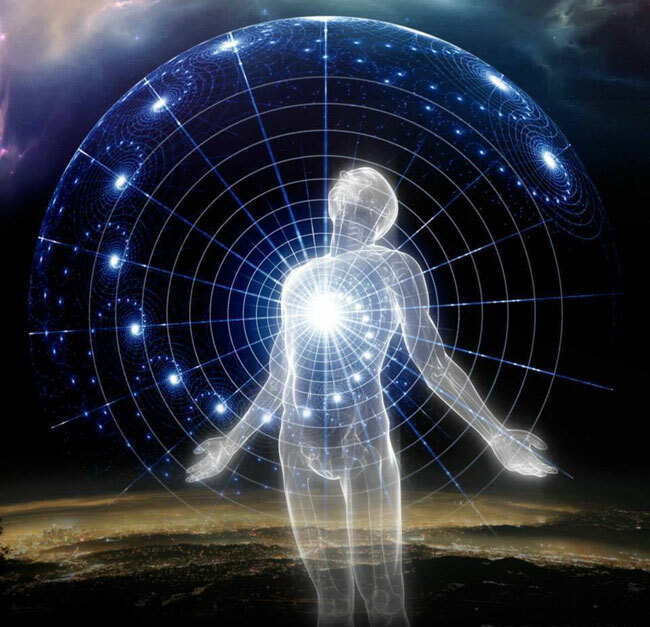 The Astral Pulse > Metaphysics > Welcome to Metaphysics! > Did I see the dead or just a projection... OR did I go to the 4th dimension? Last week, an old acquaintance of mine got murdered. His death took me by storm even though I have not spoken to him in over 18 years. I had a quite odd experience channeling once so I thought I would try and give out the message that I wanted to communicate with him. That night, around 3:30 in the morning, I sprung out of bed, heart racing and scared! I had a dream that I was at his funeral (it had since passed, and I hadn't attended) and a lady, perhaps a grandmother, was describing her experience upon hearing the news of his death. Then, someone (I presume my spirit guide), tapped me on the shoulder and telepathically asked me, "have you seen him yet? ", to which I replied, "no." Then, he/she took my body and turned it towards a random window in my house where I could see the silhouette of my friend who had passed. I did not see his face, only his shoulders. He was standing there outside my window. As I said, I jumped up from the bed, and my heart was pounding. I grabbed my phone to see the time, and it was 3:31 am. Do you think this was a visitation? A form of communication? Why was it filled with fear? Re: Did I see the dead or just a projection... OR did I go to the 4th dimension? To me, that sounds like "closure". Take it as a visitation or communication. It doesn't matter as long as the "message" was received. Looks like your message was received. The fear is just something that happens, possibly because this type experience just scares you or it could have to do with frequencies being something your body doesn't resonate with. Just know fear is usually only that and you can learn to handle it through experience. Change your mind about the fear and fear disappears. I want to do other things such as astral travel and even communicate with spirit guides but my fear holds me back. In this life, sadly I am plagued with anxiety. I have health anxiety and I also have a great fear of the things unknown like the paranormal. It's very incapacitating. I once decided to channel my husband's uncle who had passed before we met. Over a couple of days of trying, on the third day, a stainless steel spoon in my mug moved on its own, twice, 5 minutes apart. My husband and I were watching a movie at the time, I was not channeling. We cannot point out how this happened so I am led to believe that it was his uncle. Throughout my life, I've had many premonitions appear to me in dreams and I have been the recipient of much supernatural phenomenon. I find most of it takes place in dreams as I would be crippled with fear if it appeared in waking life. It stems back to my childhood when I would walk the halls with the clothes hanger in the middle of the night trying to get to the bathroom. I have always been very sensitive to energies. It looks like you have a natural ability to channel. Your anxiety may be linked to your close connection to the spiritual world. You are resisting to open the channels though and that may be increasing your anxiety. your story remind me of Theresa Caputo. She is a medium and has a show on TLC. If you haven't watched her shows, please do and read about her story how she had severe anxiety since childhood due to receiving messages from spirits but she was too frightened of this, so she resisted it. When she finally gave in and willingly opened herself to channel, her anxiety subsided. Don't be afraid of the spiritual world. I am not sure exactly what frightens you, but many experiences APers can assure you that we don't encounter scary things out there. It's just in your head. And if you have general fear of the unknown, then get to know the unknon and it will become known , then the fear will have no ground anymore. If you were aware you were dreaming, there is better chance that you had an experience that is more than a simple dream born from what was on your mind lately. When my mother passed on, I had an experience that started as a dream, but soon I became aware who I was, and that I was dreaming (lucidity). I've watched my mother in a gathering at her house, but more spacious, explaining to an eager audience how things are now back on earth. She was younger, healthy, very involved. At some point she addressed me, and told me to tell my sister to pay some bill which is closed to be overdue. Next day I contacted my sister who checked, and found out that indeed there was an unpaid bill due, for my mother's home, and she paid it. wow! that's the quite the dream! I was not aware I was dreaming in my dream but when I awoke at 3:30am, I suspected just based on my feeling it was not really a dream. I think maybe I have watched one too many horror movies growing up and thinking about lower realms/energies really freaks me out. haha, it's not like that at all. That used to be my fear as well, but when my curiosity got bigger than the fear and i experienced the true magnificense of the miltiverse, that fear no longer exist. Take a leap and you will be freed. oh, and stop watching anything that negatively affects your emotions. not just horror movies, but anything that makes you sad, frightened, uneasy, etc. Focus your daily activities including watching TV on enjoyable, lighthearted things. I love comedies and feel good movies, scientific and nature shows. After all what we focus on even for entertainment purposes shapes our future, because they make you think certain thoughts, and thoughts create things. Well, sometimes we get just what we ask for; and sometimes, that can be a bit a bit shocking for us. SACOLUCCI, I will agree with what everyone here is advising and add that this sounds like a very meaningful experience: It brought forth several messages, although maybe not the clear-cut initial communication you were asking for, but some others that may serve to expand your thinking. The death of a family member or even someone of association can bring on something like this; it can often become transformative. The simple fact that you had the impression that it was more than a dream; that is a strong indicator in and of itself, and a good observation on your part. This is often the first signal and a good sign that you are open to receiving more information. This recognition doesn't provide the information you were originally requesting, but is significant for other equally, if not more important, reasons: For one, the fact that you are now open to receiving this communication. And that recognition brings along a little bit of that 'fear shock', the initial realization that some form of NP communication can actually come through to you. I still have a bit of trouble sorting it out because it does come through in different ways, some of which I don't always recognize immediately, so I have difficulty categorizing them or recognizing them for what they are. Drop the negative thoughts and negative input from here on, it is only serving to pollute your thinking. If LB is right about your possible channeling ability, are you ready to try tapping into that again? Although I do get really scared in waking life I was feeling fear in that dream state. It was something I could not control. So maybe, the idea of frequencies rings true or it could be my unconscious being fearful. I am ready to try it again but wanted to know if there is anything I should be doing to protect myself or my home? Is is true that lower entities will come if you are scared? The astral responds to your thoughts so if you are asking for guidance and terrified of demons a demon may come but he/she will also be your guide. They are only demons or wearing those 'clothes' because that is what YOU expect. I know we talk here as though fear is easy to toss off but I well remember my own fears. Even now I can have the bejeesus scared out of me but now the moment I realize the fear I laugh. As for protection that can come in any form you choose. I have always just simply asked (prayed) for protection. I ask that no negative entities/energies/beings being allowed within my sphere of protection which sometimes covers only me but I most often include my home and anyone in it at the time. Once you ask for this accept it as fact. KNOW you are protected. Also, yes there are lower energies and that is perfectly normal. We too are lower energies to the divine. When lower energies reach out to us perhaps we could offer the comfort the divine so freely gives us.